AARP organized two days of CareMap Workshops with Beatitudes, Duet, the AARP Advocates Council. Over 40 people attended, most of whom were family caregivers or preparing to become cared for by family members. Of the 40 who attended the CareMap Workshops over 95 percent learned something valuable and would recommend it to others. “We [family caregivers] are not validated for what we do. I had to give up my job and so suddenly my work isn’t valued. It’s nice to feel valued through this,” said one participant. For an overwhelmed caregiver, the first step toward getting help may require only a pen and a scrap of paper. The CareMap tool teaches caregivers how to create a visual illustration of their caregiving network and daily caregiving realities. This practice raises awareness and catalyzes crucial conversations about what help is needed and how to get it. As part of an effort to provide more caregivers with this simple yet powerful tool, AARP is funding multiple CareMap workshops around the country, starting in Phoenix, Arizona. 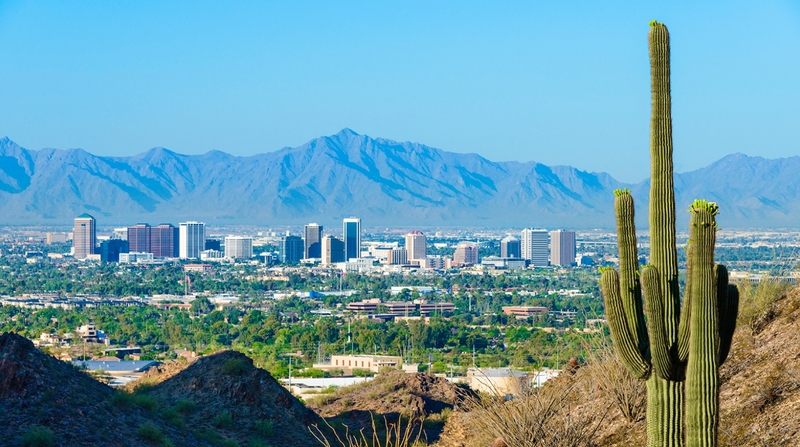 Phoenix is the largest city in Arizona, a state with a diverse, growing, and aging population. As goes Phoenix, so will go the rest of the nation, if current forecasts are accurate. Phoenix is the first of a series of pilots sponsored by AARP in partnership with Atlas of Caregiving. Through this pilot, AARP and Atlas hope to work directly with the city’s caregivers and achieve crucial insights about family caregiving. Who are the caregivers of Phoenix? In Phoenix, caregiving has become a significant responsibility for many. Over half (54 percent) of the people over the age of 45 claim to either currently be providing caregiving for a loved one or have previously done so, according to a 2015 AARP study. The actual figure could be higher as this many do not self-identify as being a caregiver. Of this, over half (57 percent) are married women around 61 years old. Two thirds report feelings of stress and emotional strain from their daily caregiving responsibilities. For many, caregiving has been their reality for some time — 40 percent had been providing caregiving for over 5 years, and 10 percent for over 15 years. Half (50 percent) perform personal tasks such as dressing and bathing and 63 percent conduct nursing or medical tasks with very little training. Other tasks performed include providing companionship (92 percent), providing transportation to appointments (87 percent), performing chores (86 percent) and managing finances (71 percent). The median age of the care recipient is 79 years old, with 76 percent caring for somebody age 70 or older. Most are caring for a parent or in-law (44 percent), followed by a spouse/partner (25 percent) and child (16 percent). Two-thirds of the care recipients live with their caregiver. In many cases, their loved one isn’t the only one receiving their care — 21 percent are also caring for children under 18, and 24 percent have children over 19 living at home. These caregivers of Phoenix are no strangers to sacrifice. In fact, at least six in ten have used their own personal money to provide care, and almost half have had to alter their homes to accommodate their loved one. These numbers increased for those spending over 30 hours a week providing care (one-third of caregivers). Further, over half provided care while working full- or part-time, and over two-thirds had to make work adjustments to provide care, 30 percent of which had to do so on a weekly or monthly basis. In Phoenix, these statistics aren’t going anywhere — three in five residents claim it’s likely they will be a caregiver in the future. Over half say information about available caregiving resources would be very helpful, and seven in ten claim it’s important to have more resources for family caregivers. In facilitating these workshops, our goal is to help the family caregivers of Phoenix to see the help they need, and to discover what is available.